This is for all the international readers who aren’t sure where I live. Adelaide, you will see, is the capital city in the bottom centre of the map. That’s where I currently live (as does Nic, KB, Lisa, different Tony, Rez, future wife no 1, Tracy, Robin, Alison, niece 1 and niece 2 and others who have commented whom I have forgotten in my pre-alzheimers state). 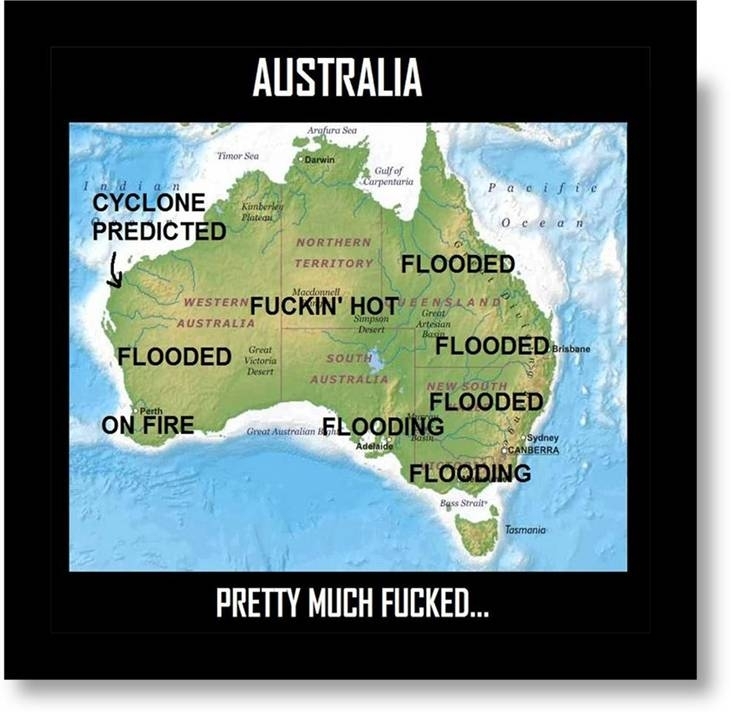 This is the revised map of Australia I received today which made me giggle. The only correction I would suggest is that Adelaide’s status should be changed to dry as a f***ing chip rather than flooded. Not to belittle other people’s tragedies but I would kill for some rain. 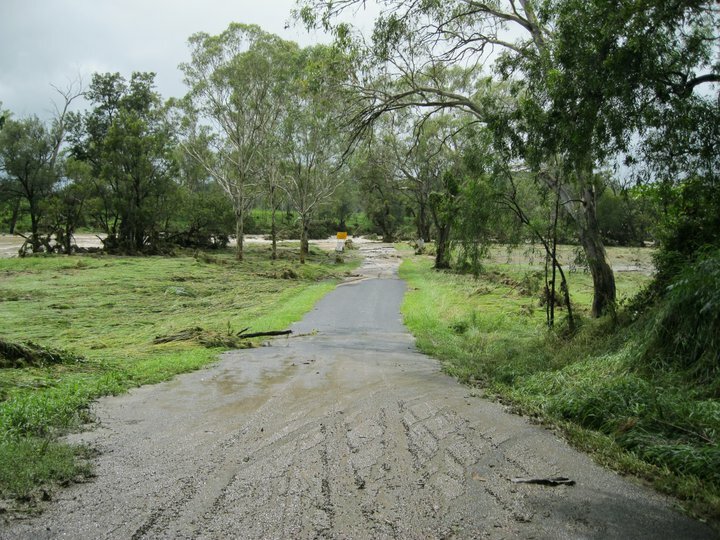 Continuing yesterday’s pictures of the flood damage experienced by my friend, Tony, during the Queensland floods. In further discussions, Tony did lose one animal, washed up 70 km away. Also their well is now on the neighbour’s property. Clean up continues. 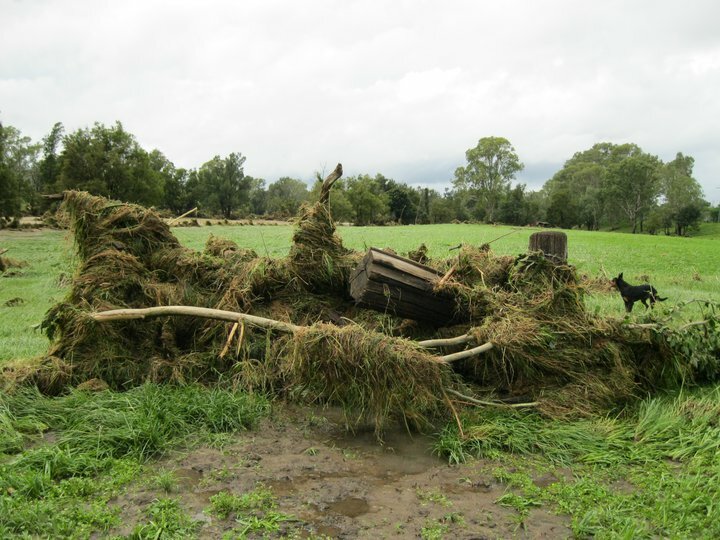 Some of the pictures of the toil the flood took on the farmland near Kilcoy. 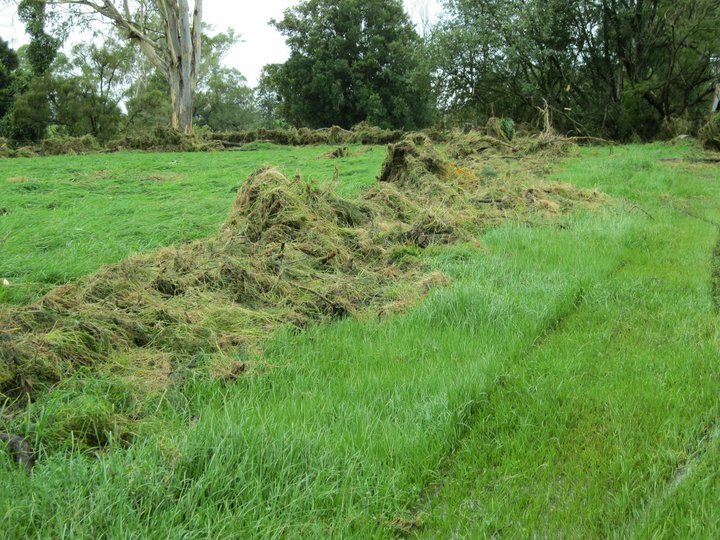 This is pasture that was ready to be grazed. 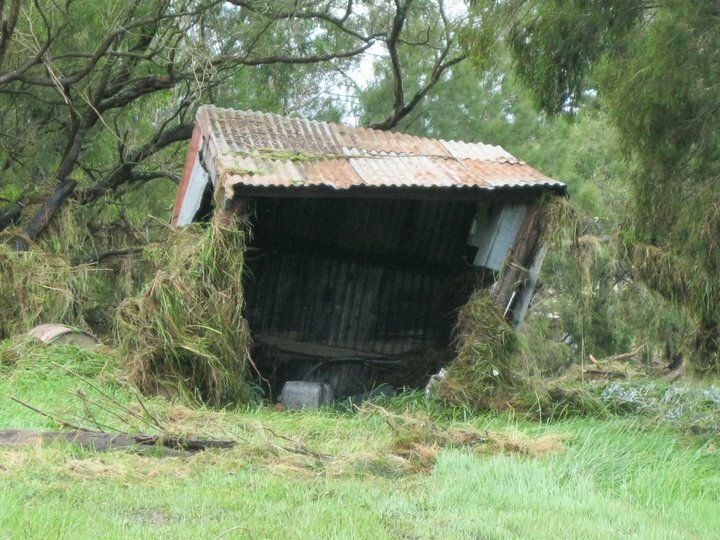 This is the Pump shed. It used to be at right angles. There is an iron gate under all this debris. There are two bridge’s to Tony’s property. One was instantly flattened. This is where it ended up. These very large, very heavy trees were dumped at the high water mark. South Australia continues to be dry as a chip though thus far, in honesty, it has been an incredibly mild summer. 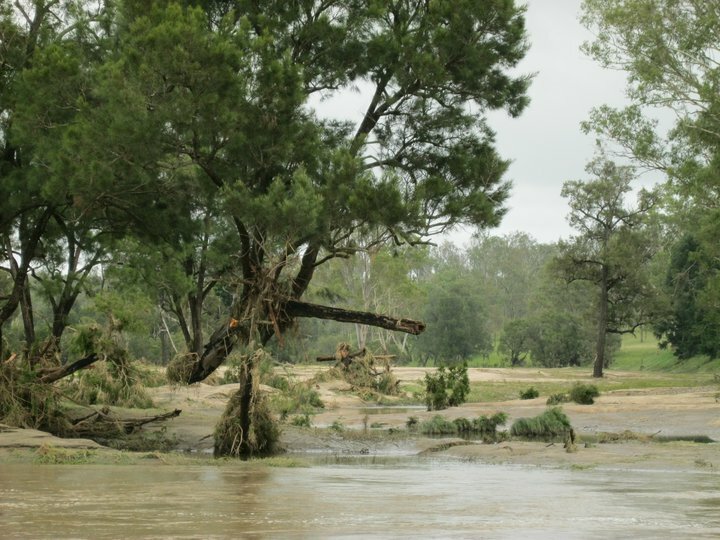 Victoria now faces similar flooding with a third of it already underwater, and, as I am sure you aware, Brazil had far, far worse flooding than Queensland with a death toll unclear and currently at 600 people. It’s all changing. Not for the better. 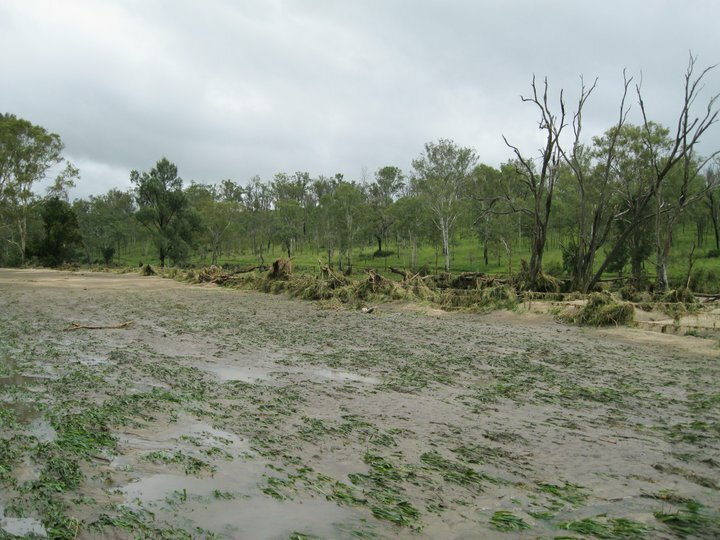 As witnessed by the sheer number of overseas people asking me if I am alright in the floods (Thank you, I live 3 states and 993 miles/ 1600 km away and, quite frankly, would love some rain), the horrific flooding that engulfed Queensland has been world news. 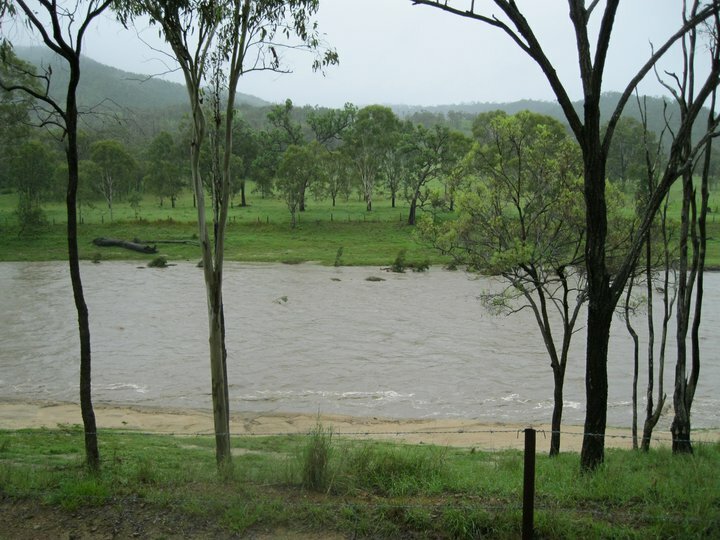 A friend of mine, Tony, lives in Kilcoy, an hour from Brisbane. 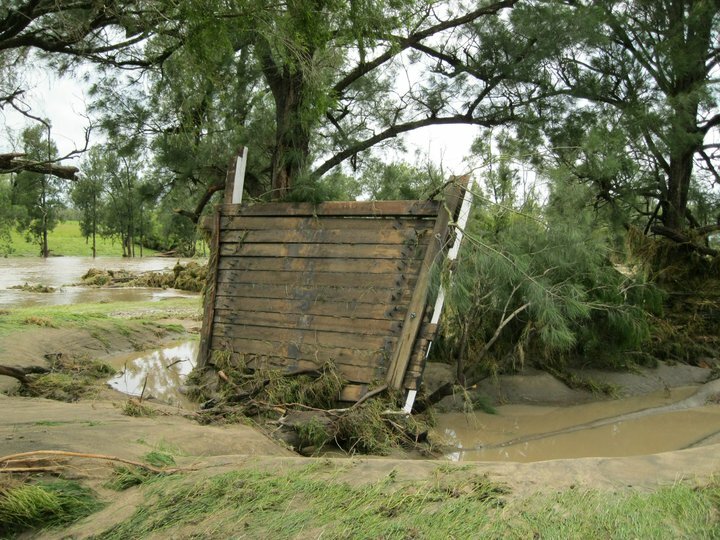 A dairy farmer, he and his family were stranded in their property while the floods overtook their bridges. They survived on generator power and had to destroy 10000 liters of milk as there was no way of transporting it. Fortunately Tony recognises he was lucky, no-one near him was killed nor did he lose livestock. 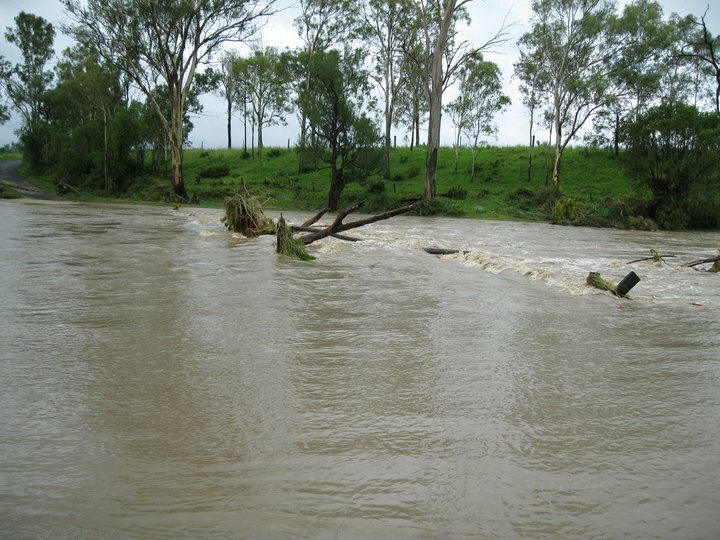 Fascinatingly, talking to him, the local farmers had all predicted that Brisbane would be flooded. One woman had even rung the radio station to tell them just that. Not taken seriously, obviously. I tried to get Tony to take some pictures of the flooding as it was occurring. Due to the power outage, his internet access was limited and so he has only just been able to get the pictures out. These pictures are taken of the devastation afterwards. There are loads of pictures so, being aware of some people read this on their phones, I’ll spread it out and put some more up tomorrow. 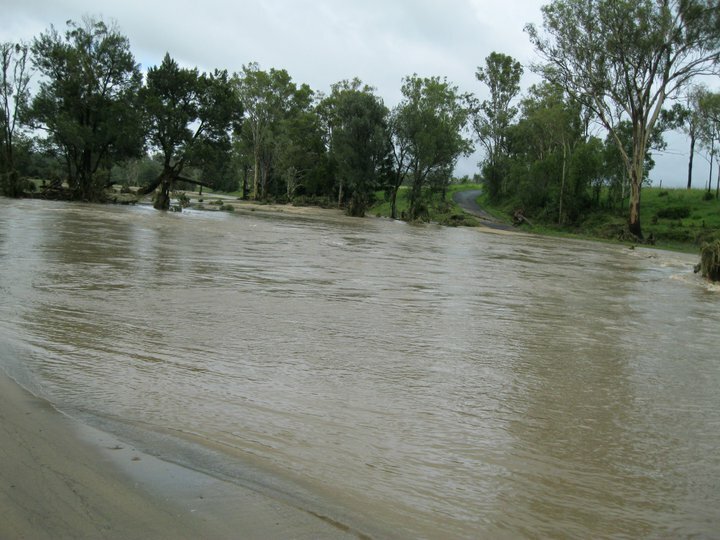 There is a bridge under all that water. 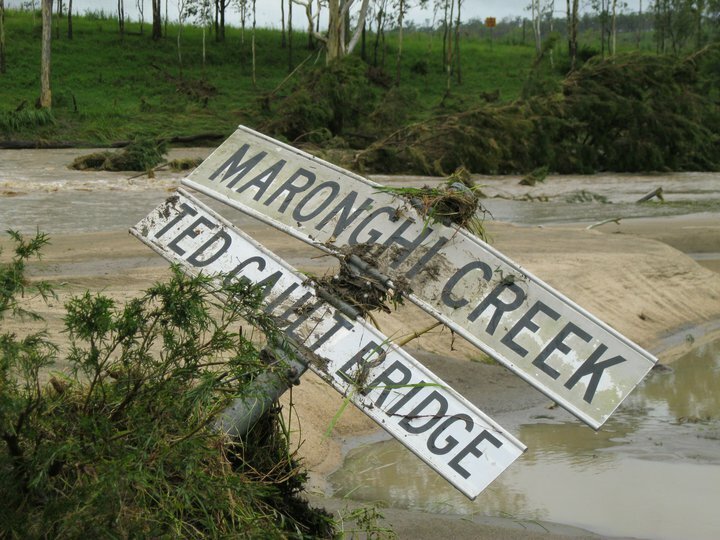 There are two bridges to Tony’s property, one was completely destroyed and everyone held their breath until the waters subsided to see if the remaining bridge was still there. This should be a stream and should be a sixth of this size. A Tree. Stuck in a tree. This picture was taken at the high water mark. 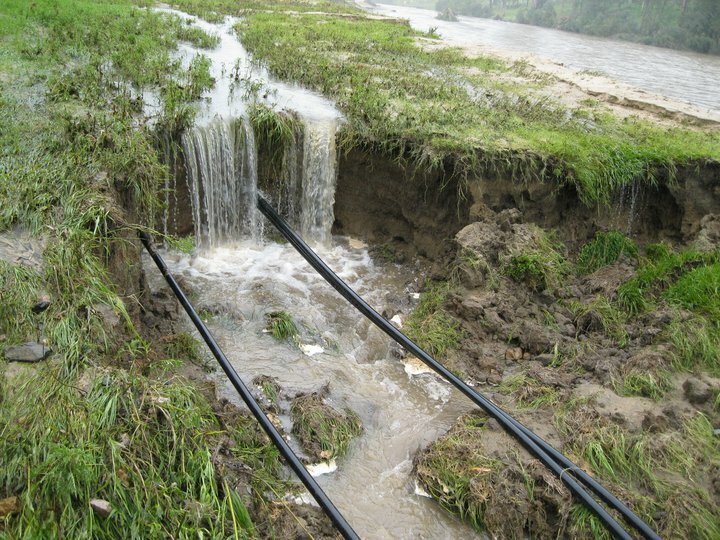 Water lines that should be underground.